Sam Trickett has now been joined by Fedor Holz in promoting Partypoker, giving some extra star power to the poker room’s drive to shift the balance of power in the online world. Ever since Full Tilt went under, PokerStars has held a virtual monopoly over high stakes games online, but this may be about to change. Fedor Holz has been in a semi-retirement of sorts for the past couple of years, but that hasn’t stopped him from cashing for $3 million in 2017, and it hasn’t stood in the way of him signing for Partypoker either. The addition of Holz further bolsters a roster of pros which includes Dzmitry Urbanovich, Johnny Lodden, Sam Trickett and Anatoly Filatov. This gives PartyPoker a team which is full of European talent, and a platform from which they can tempt high stakes players away from PokerStars. From this month on I’ll partner with @partypoker. 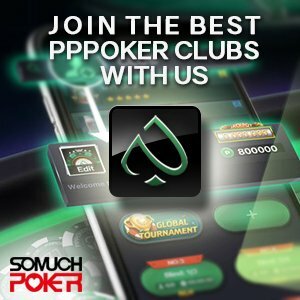 I’m excited about their plans for the future of poker and I’m happy to be part of it. If there is ever going to be a time to try and lure high stakes players away from PokerStars, it is surely now. In 2016, PokerStars announced that players who ply their trade at $5/$10 tables and above would effectively have all their rewards cut. Since then, Partypoker have announced several initiatives that tap into that frustration being felt by high stakes players. Their new VIP rewards program provides up to 40% rewards and Diamond Club members at Partypoker can receive up to 50% rakeback. The value of having high stakes heroes battling each other in your online poker room was underlined by Full Tilt during their heyday, with many people downloading the software initially to watch the likes of Phil Ivey, Tom ‘durrrr’ Dwan, Viktor ‘Isildur1’ Blom and others exchanging huge pots with each other. Many of these spectators went on to play poker on the site themselves, and so, the commercial bonuses of bringing big name high stakes players to Partypoker would be equally significant. Just a few days ago, Sam Trickett invited a group of high stakes players to join him online at the high stakes tables on Partypoker, with the PLO game mostly involving blinds of $200/$400. In a session which lasted around 4 hours and was broadcast on Twitch, Tony G, Viktor Blom, Rob Yong, Jan-Peter Jachtmann, Leon Tsoukernik and Andrew Pantling all spent some time playing. Will the next game feature Tom Dwan or Phil Ivey? According to Trickett, Dwan and Ivey have already indicated that they are open to the idea of playing, and apparently all of those who attended the PLO game enjoyed themselves. Some of the players are keen to set up a second game again soon, which means that we could very easily see regular games springing up at these stakes on Partypoker. If that does come to pass, you can be sure that the railbirds will quickly follow, especially with the added firepower of Twitch helping to generate more interest.